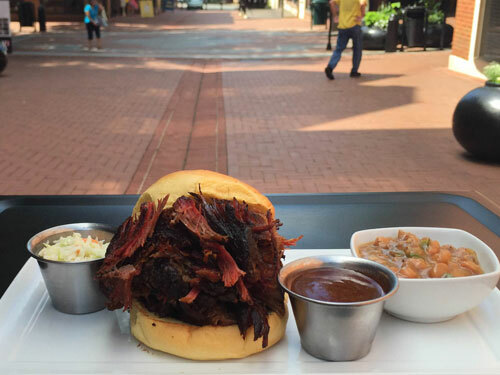 Downtown Menu – Smoked BBQ Co.
All sandwiches are piled high with your choce of ‘Que & include a 2 oz. Cole Slaw & your choice of sauce to top your sandwich. The original! Dry rubbed and pulled to order. Sauce and slaw for topping on the side. 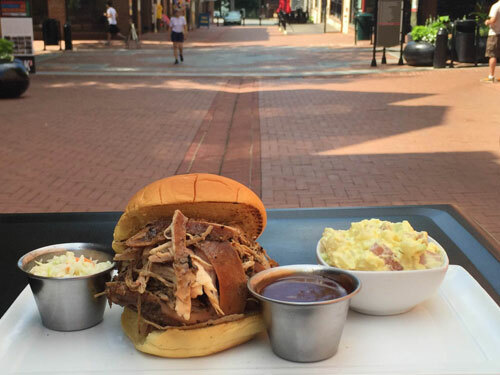 Hickory smoked chicken breast pulled and served with your favorite sauce and slaw on the side for topping. Chili rubbed and slow smoked to create our version of Texas BBQ in Virginia. With sauce and slaw on the side for topping. A twist on the traditional. 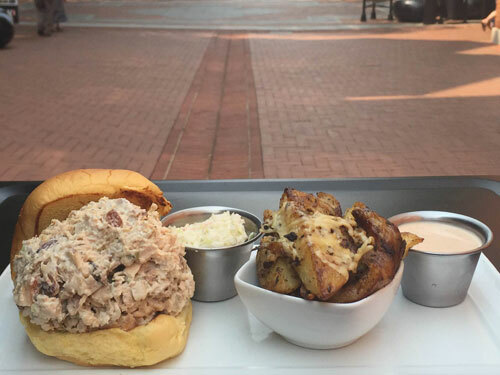 Crisp celery, onion, and mayo combined with our diced smoked chicken breast creates a Charlottesville favorite! Served with slaw on the side for topping. Baked mac and cheese layered with baked beans w/sausage and topped with your favorite BBQ meat! Sauce and slaw on the side. Add a cornbread to soak up the bottom of the bowl! All platters include two homemade sides of your choice, cornbread, and your choice of sauce! A healthy portion of pulled chicken breast with 2 sides, cornbread, and a sauce of your choice. 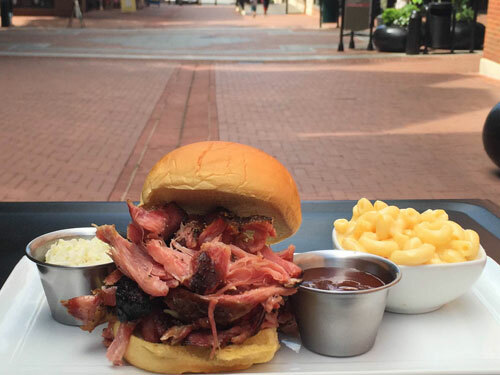 Our famous pulled pork, piled high and served with 2 sides, cornbread and your choice of sauce. “Texas Style” chopped beef served with 2 of your favorite sides, cornbread and your choice of sauce. You choose the 2 meats, 2 sides, cornbread and 2 sauces. All Rib platters include two homemade sides of your choice, cornbread, and your choice of two sauces! Dry rubbed with two sides, cornbread and your choice of sauce. Double the ribs with 2 sides, cornbread, and 2 sauces. 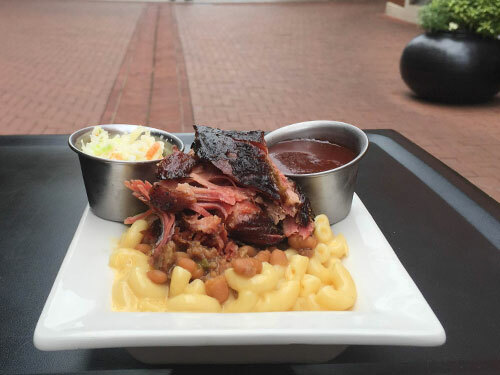 Pair our delicious ribs with your favorite BBQ meat. Served with 2 sides, cornbread and 2 sauces.